Keep your readers focused on your content. 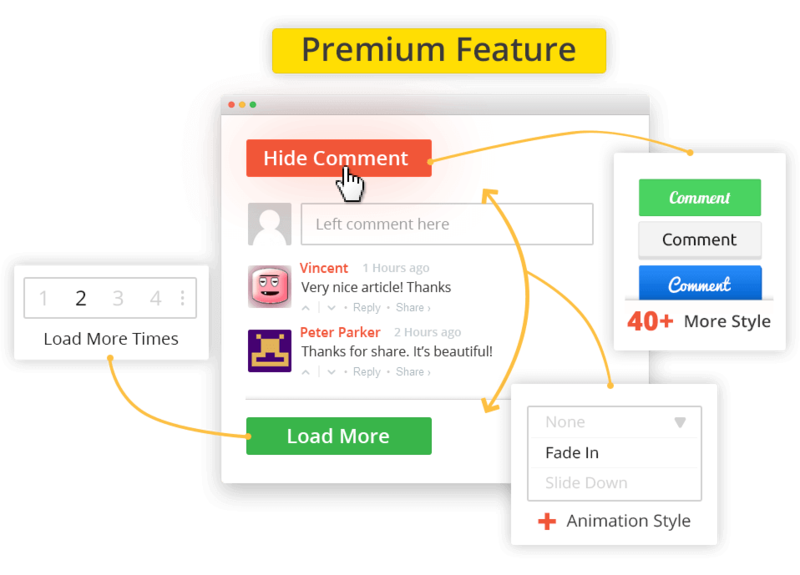 Long comments can distract your users from the content of your blog. 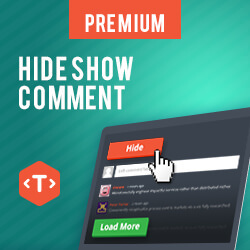 This plugin will automatically hide the comment form from your blog and replace it with the “Show Comment” button. 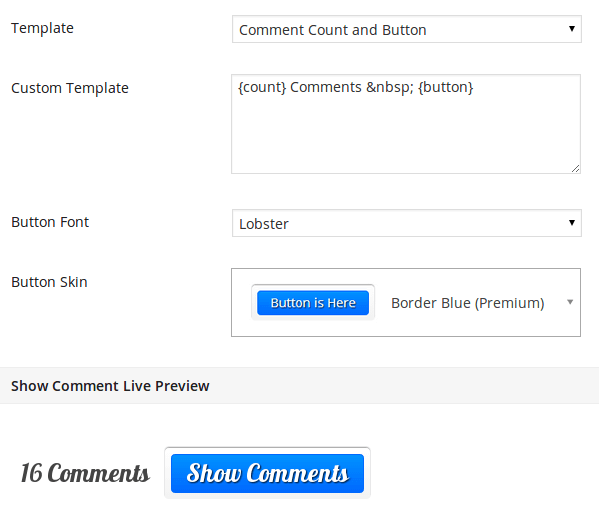 The Premium version of this plugin comes with 40+ “Show Comment” Button templates. HSC comes with a major feature since version 1.0.5, the Load More function. 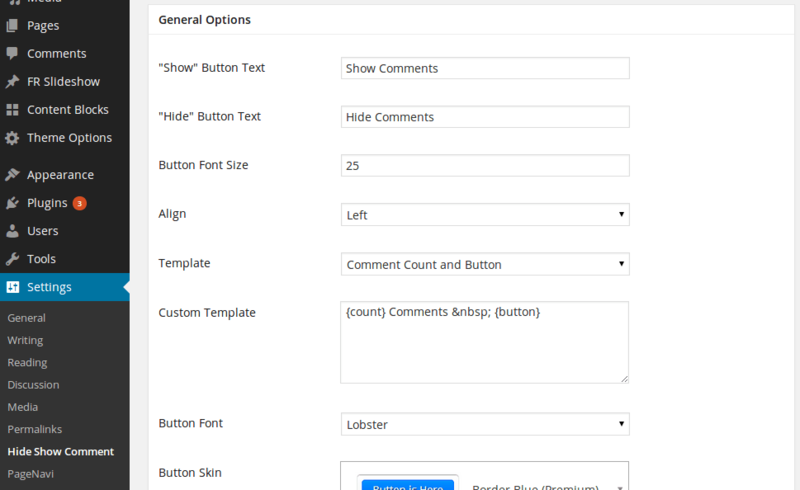 With the Load More function, users are allowed to split the comment list and load it step-by-step, depending on the user configuration. Requires php 5.3 and above. 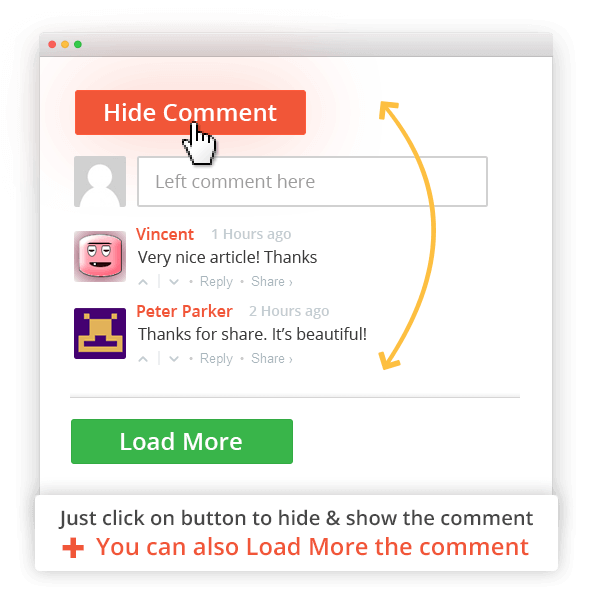 Activate the plugin and your comment form will be hidden automatically. No coding required! 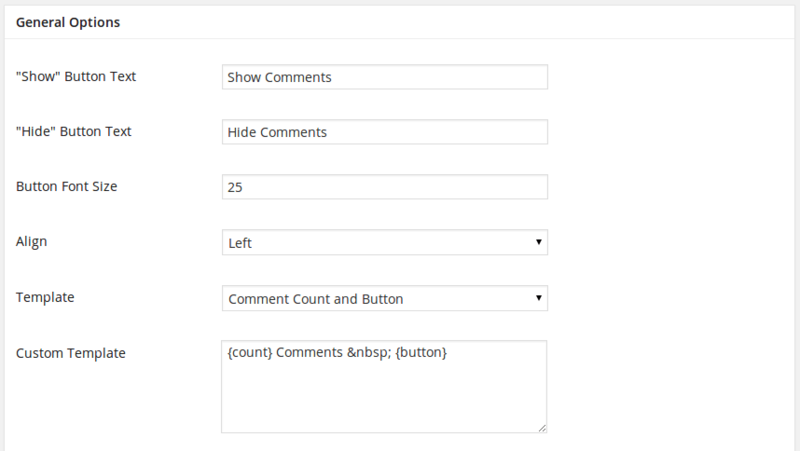 Auto-split your comment list on your post and load it step-by-step, depending on your configuration. 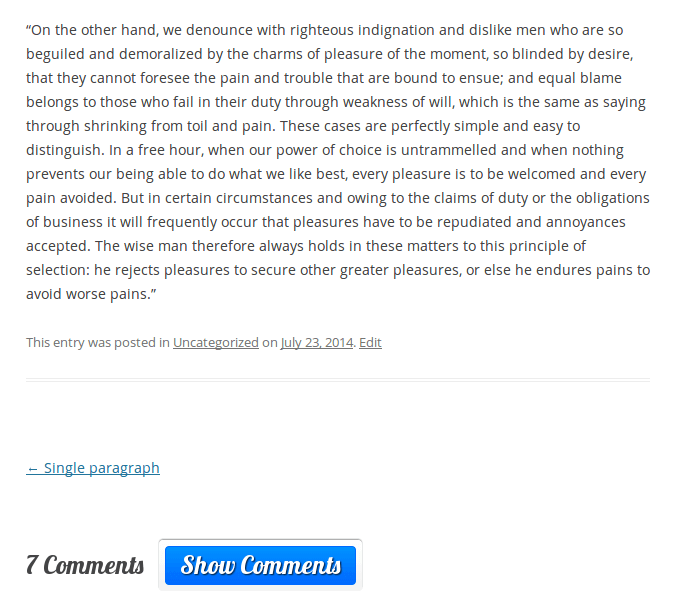 You can customize the “Show Comment” and “Load More” buttons as you like. 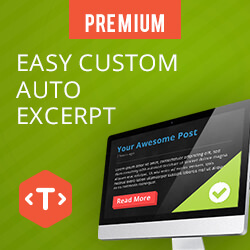 Button typeface and text can be customized. With the Premium version, you can change the text size and typeface, and also unlock some awesome features. 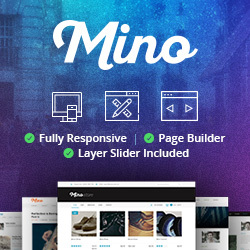 The Premium version also comes with 40+ predefined button themes that you can choose from. .
Use our support forum to solve your problem if you ever need help with the plugin. Premium buyers will get priority support on the forum. Do you want to get all of the benefits of HSC? Try HSC right now ! If you have any trouble with our problem, feel free to discuss it on the support forumDo you want to get all of the benefits of HSC? Choose the desired options you want to make, the options is self explanatory. You may try different setting for the best result.